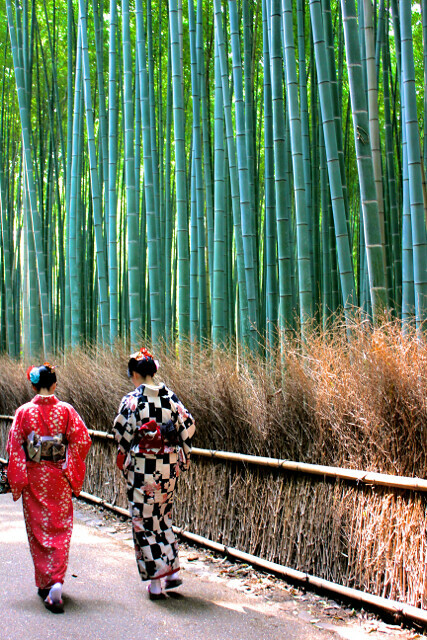 Spend a few days in Kyoto, and you’ll be exhausted but enriched. 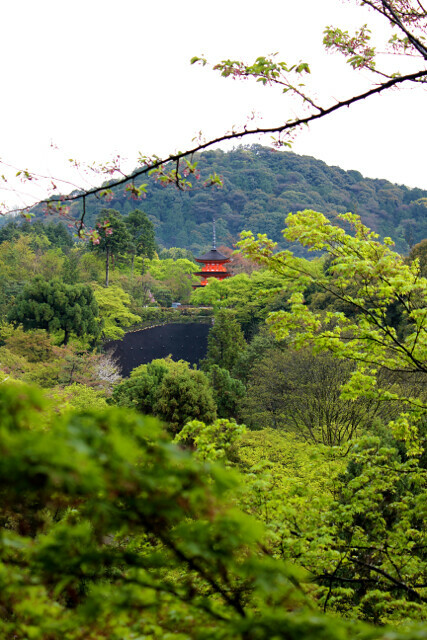 There are TOO many sights to see, most of which fall into the temples and gardens category. 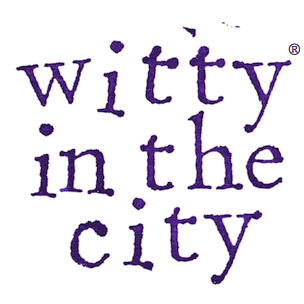 Most of these attractions surround the edges of the city, which makes it difficult to sightsee efficiently. 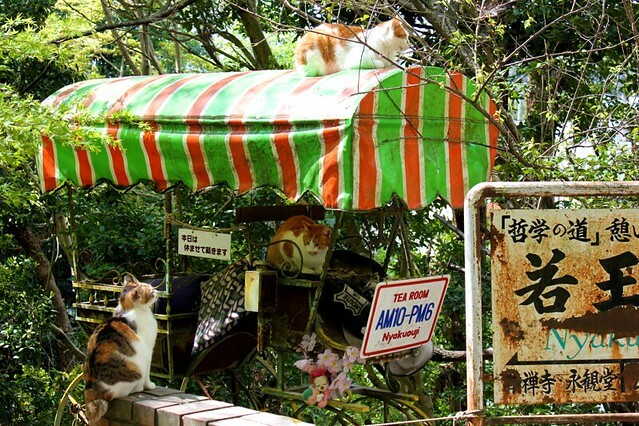 The contrast between the lush temple areas and the low-rise city is stark, but there is beauty to be found in central locations too, particularly the sprawling shopping arcades, which are best saved for a rainy day, and Kyoto’s alley-like side streets that are packed full of restaurants, shops, and homes. The gardens in Kyoto are the best I’ve ever enjoyed. 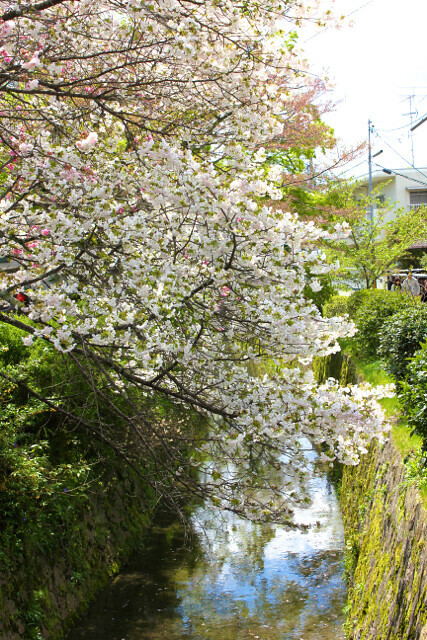 They are perfectly and painstakingly landscaped to exude calmness and natural beauty, a feat accomplished by gardeners on their hands and knees picking up individual, fallen cherry blossoms. The zen gardens are also showstoppers, which I did not expect after seeing the miniature ones people keep on desks and tabletops. The scaled-up expanse of meticulously detailed pebbles enforces a sense of peace on the soul. And how people maintain those displays without leaving footprints is a mystery I don’t care to solve. The same goes for bonsai trees. Gnarled trees many times my size are carefully trimmed and pruned over time to look balanced but always organic. Quite a contrast from the sculpted bushes that appear in European gardens. It’s not just temple grounds that feature such beauty. House after house features lovingly landscaped greenery. 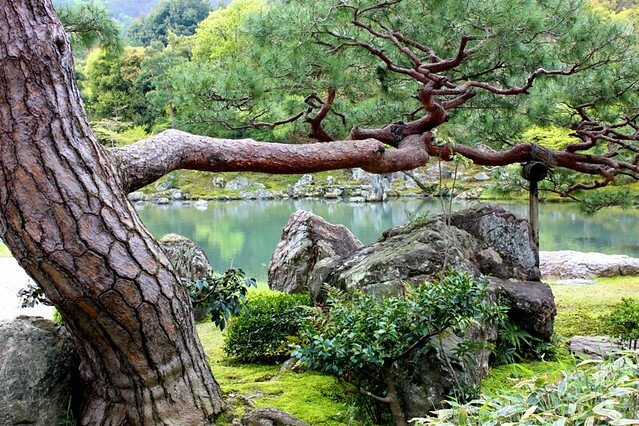 Do so many Japanese people have green thumbs and an artistic eye, or is there a very prolific landscaping service? Lots of beautiful pagodas can be seen in Kyoto. And because most of the temples are uphill, the views are fantastic. 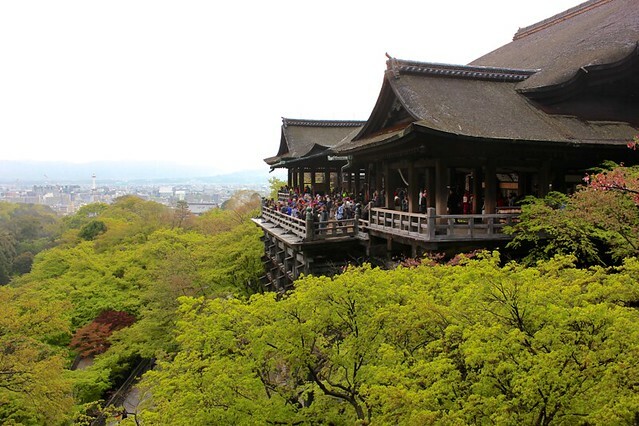 This one is Kiyomizu-dera, one of the more popular sights. 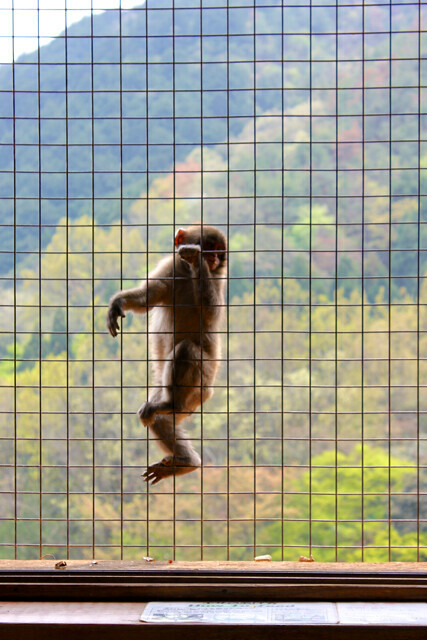 One of the coolest things in Kyoto is hiking to see the monkeys. They’re worth the climb. Along the trail, there are rules for interacting with the monkeys, and the first one is to avoid all eye contact. That’s especially off-putting when you reach the top of the hike and are completely surrounded by them. We fed the eager monkeys from inside of a caged building. Outside the building, the monkeys really are indifferent to people. The babies were so cute, and they spent lots of time grooming each other. 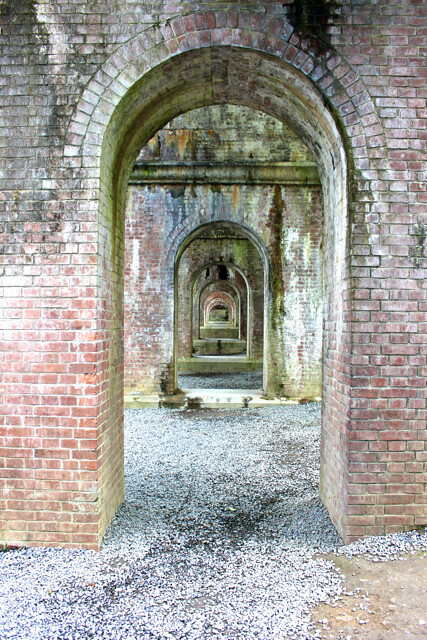 We came across this Roman style, functioning aqueduct. It was really impressive and the architecture provided for great photos. An art class was there drawing it. 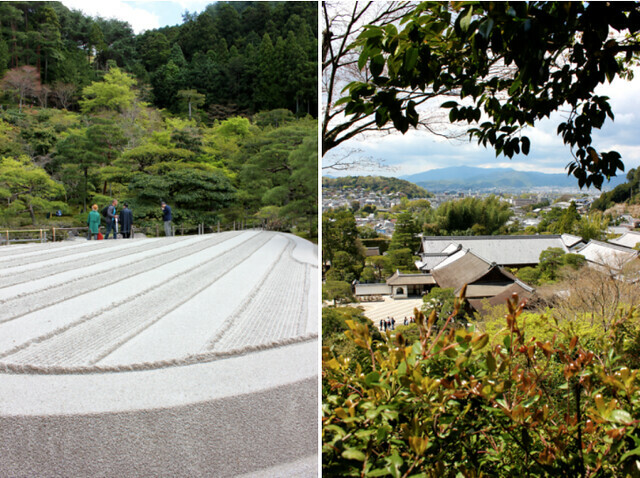 One of my favorite gardens from all of Japan was tucked behind it. And of course, the bamboo- one of the sights I was most looking forward to visiting. 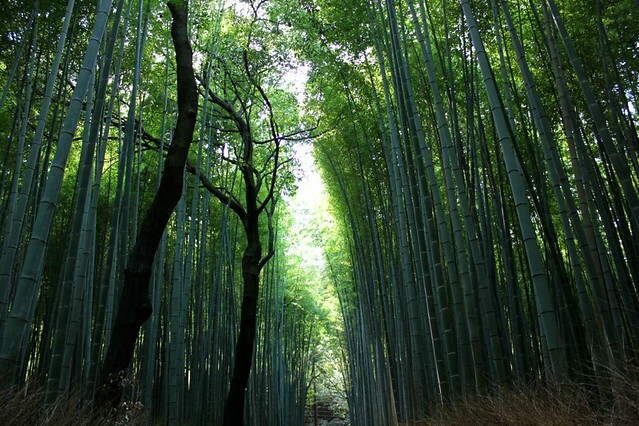 The bamboo is more of a grove than a forest. There is one path that cuts through it, and it is incredibly impressive. The bamboo stalks are shockingly tall and wide. They must have been growing forever. Unfortunately, I can never look at bamboo the same way again after trying to eradicate it from my new backyard. Let’s just say, I was bamboozled! 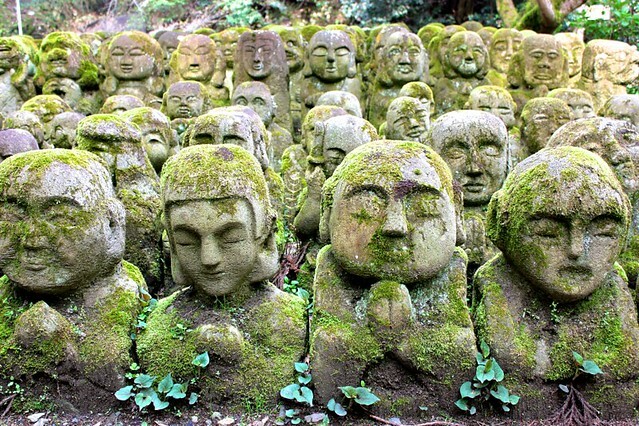 These small, moss-covered statues are another curious sight. There are hundreds of them covering a hilly area, and each statue has its own unique personality. They are all done in the same style, so the individuality is not obvious at first glance. 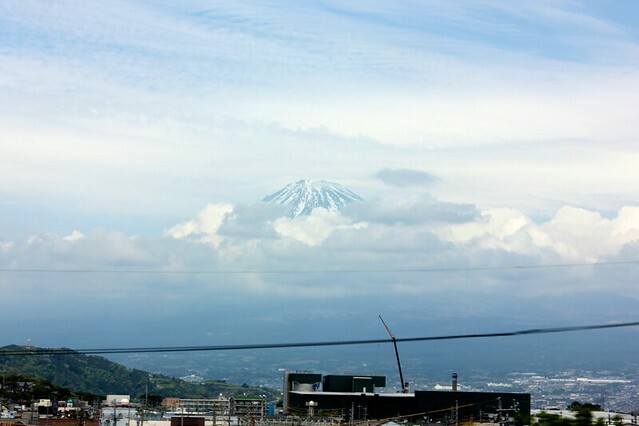 And if you take the train between Kyoto and Tokyo, be sure to sit on the side that has a view of Mount Fuji!